From Head & Shoulders to Airtel, Kareena Kapoor Khan has endorsed many brands over the years. Kareena reportedly has a brand value of about Rs 3-4 crores for each endorsement. She has a huge fan following and she aces every promotion like a pro. But the latest in the rumour mill is that a new actress has been roped in for a brand that Kareena used to promote. According to the grapevine, the M.S. Dhoni actress Kiara Advani has allegedly replaced Kareena to become the new face of Limca, a leading beverage brand. Interestingly, the two actresses will be sharing screen space in Good News, a film that also stars Akshay Kumar. On her association with the brand, Kiara said that she was really excited to work with Limca as her core values and personality were the same as that of the product she would be endorsing. The company will soon roll out a new advertising campaign featuring the actress. Kiara even took to Instagram to announce her contract with the brand. The tabloid has quoted a source as saying, "Kareena had been the face of the soft-drink campaign for quite some time now. But now, the multi-national corporate wanted a change and got Kiara on board. There’s nothing more to it." Kiara and Kareena love spending time with each other on the sets of Good News. Although Kiara has replaced the senior heroine as the new face of Limca, there seems to be no bad blood between the two Bollywood beauties. In fact, a video of Kiara playing with Kareena’s two-year-old son Taimur Ali Khan had also surfaced on social media and it was just too adorable. 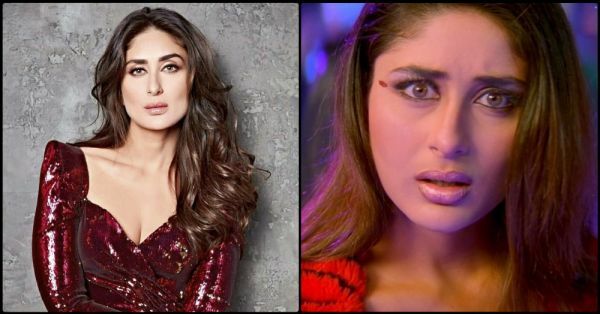 After the news of Kiara (Ki) replacing Kareena (Ka) spread like wildfire, an official statement by Kareena's publicist, states that the reports were 'ridiculous' as the Bebo hasn’t been the face of the company for a long time: "The reports floating are ridiculous. Kareena Kapoor Khan had discontinued her association with the brand over 5 years ago." There, seems like all's well between Ki and Ka. On the work front, apart from Good News, Kiara will be seen opposite Shahid Kapoor in Sandeep Vanga's Kabir Singh, and Kareena has signed up for Karan Johar’s multi-starrer Takht. The period drama, slated to release in 2020 will also feature Ranveer Singh, Vicky Kaushal, Alia Bhatt, Janhvi Kapoor, Bhumi Pednekar and Anil Kapoor.